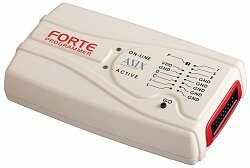 FORTE is a very fast and flexible High-Speed USB In-Circuit Serial programmer for a wide range of popular components - microcontrollers, serial EEPROM and Flash memory chips, CPLDs and others. 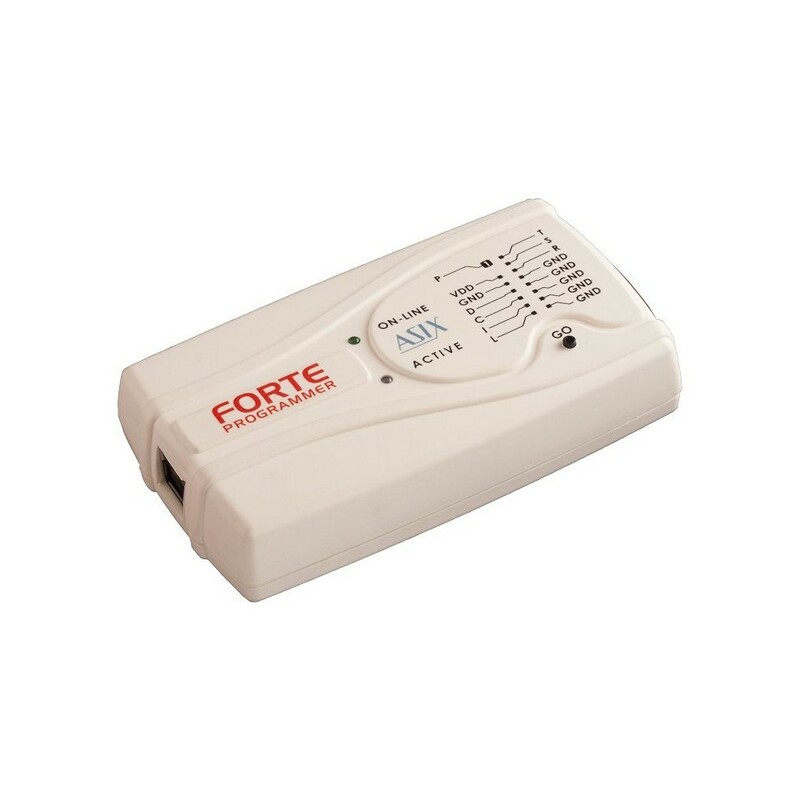 FORTE is equipped with an effective overcurent and overvoltage protection. The programmer is powered from USB and it is able to provide the supply voltage for the programmed device in range from 1.8 to 5.5 V or it can work with the externally powered target application. 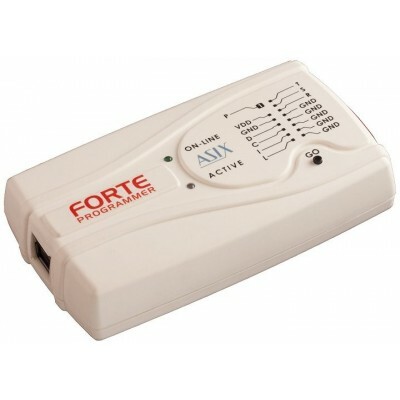 Software for FORTE works under Windows and Linux.